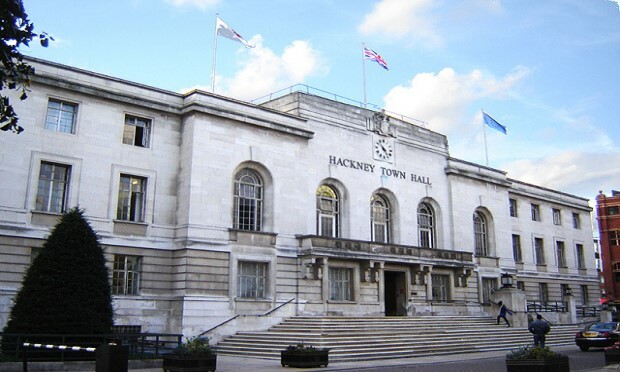 Hackney Community Law Centre (HCLC), which provides specialist legal advice to disadvantaged residents, could close by next year in the wake of “swingeing” 45 per cent cuts to its council funding. In a decision voted through at a 25 March cabinet meeting, HCLC’s grant was slashed from £203,000 to £115,000, which will result in the centre having to consider cuts to its immigration department and reducing the number of staff available for housing advice. HCLC, which has just finished successfully fighting a Windrush case, saw a cut of £60,000 to its debt advice service last year, and has already seen a drop in its council funding of 56 per cent since October 2017. Cllr Deniz Oguzkanli (Lab, Lea Bridge), speaking on behalf of HCLC’s board of trustees, said: “We know that austerity from central government has impacted all our services, but this is a deliberate and unconsulted sudden change of policy of redistribution of the grants pot. Sean Canning, manager of HCLC, also speaking on behalf of trustees, added: “Legal aid is the fourth pillar of the welfare state – along with the NHS – introduced in the 1940s by the Clement Attlee government. “We are deeply shocked and puzzled that this council should be hitting today’s custodians of that achievement of access to justice for the poor and vulnerable. Town Hall funding has in the past bridged the gap for centres like HCLC in the wake of central government cuts to legal aid services under the Legal Aid, Sentencing and Punishment of Offenders Act 2012 (LASPO). Canning said that last-ditch talks with the council to reconsider or defer the decision had not received a “sympathetic” hearing, with HCLC saying the Town Hall offered them £35,000 over the first two quarters of the coming year – not enough to prevent HCLC’s possible closure in 2020. According to Tim Shields, the council’s chief executive, officers have been working with Hackney CAB, the HCLC and Deaf PLUS to carry out a systems review of advice services in the borough since 2016, alongside 19 other local organisations. In a report presented to cabinet, Shields said: “There is a presumption in current system design across a range of industries and sectors that specifying service delivery methods, setting standards and monitoring and managing performance against pre-determined standards improves performance. “This is increasingly being challenged within public services as the intended outcomes for recipients of services are not realised. Shields added that the Town Hall is aspiring towards a new model of an “integrated debt and advice service which helps people resolve their problems at the earliest stage and find ways to help people address wider issues to help them live a happier more fulfilled life”. However, HCLC claims the specific change in policy which has hit their budgets was “sudden and unconsulted”. On the subject of the two-year advice review, Canning said: “We disagree with its methodology and conclusions, which do not reflect the findings of the main agencies participating in the review – HCLC, Hackney CAB and Deaf PLUS. “Also, we have been refused sight of this report and even told that no such report exists. During a judicial review in the High Court of cuts to court duty schemes in 2018, the work of law centres like HCLC was highlighted as an “invaluable community resource, enabling some of the most vulnerable members of society to obtain, free of charge, basic legal advice in those areas of law, such as housing, social welfare, and employment, which have the most fundamental impact on their daily lives and wellbeing”. In a report to last night’s cabinet, Cllr Caroline Selman (Lab, Woodberry Down), the Town Hall’s voluntary sector chief, said: “The council continues to support the voluntary and community sector (VCS) through the grants programme, recognising their preventative role and the ability of advice providers to reach vulnerable residents and avert crisis. “The council remains committed to working in partnership with the VCS and our continued commitment to the grants programme is one of the ways in which we demonstrate this. “Given the challenges facing advice services in the wake of unprecedented and ongoing welfare reforms, officers have embarked on a full review of advice services in partnership with advice providers. “The review has led us to a new way of working with our advice partners based on ongoing learning and improvement, focusing on the purpose of the service and how this responds to the needs of the individual. Cllr Selman added that the systems review was part of the council exploring a “resetting of its relationship” with the VCS as it reflected on “the inherent attitudes and behaviours by all involved, in some areas of partnership working”, as it seeks to address what it views as weaknesses in advice provision.